Raise your hands if you love to read! 🙌🙌🙌🙌🙌🙌 Whether it’s fantasy, sci-fi, memoirs, recipes, or comes under the very vague “spiritual” section at Waterstones, books are a huge part of society. If they weren’t we wouldn’t still be creating these paper stacks and printing them with hundreds of words. They exercise your imagination, memory, logic, and so many more brain muscles as we explore the meaning beyond the letters. As Christians, books are even more important. It is through books that we know about what happened to those who came before us. From the people who compiled the Old and New Testaments all the way down to Foxe’s Book of Martyrs and beyond, books have passed on so much knowledge to the wider Church. But they are not just for remembering what happened before we were around. Reading is a brilliant way for us to learn more about the Bible and from the experiences of other Christians. That’s why in 2016 I set myself the challenge of 11 books I have to read by the time I’m 30. (I wasn’t restricted to just those 11 but they are the bare minimum.) I’ve learnt a lot from the books I have read so far, both old ones I’ve revisited and new ones I’ve only just bought. However, you can never, ever read enough books. As my dad says, knowledge is not measured by what you have read but by what you have not read. (Probably why the only rooms in their house to not contain books are two bathrooms!) 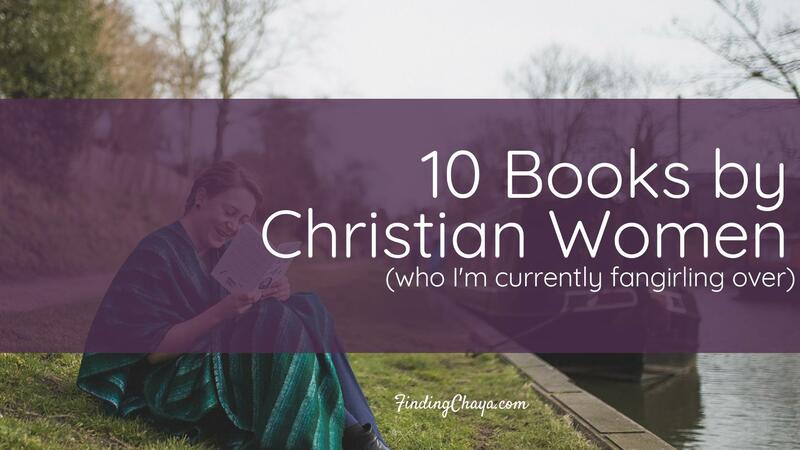 So, in the spirit of forever reading and learning, here is my list of books by Christian women I want to read. There is a whole mix here, from conservative Southern States through to proud feminists, but that is the point of reading. We don’t have to agree with everything but we can learn from everything. Even if it’s learning what we don’t agree with. Emma Scrivener’s first book, A New Name, was an amazing insight into the life of an anorexic and her journey to becoming a Christian (repeatedly). Though I have never struggled with anorexia, her account still struck me with so much truth about my relationship with God, food, emotions, myself, and life. It almost makes me nervous to start A New Day. But when Emma has been given a gift by God to share her story in every way possible and her writing is just so good, there is no reason to be fearful. As I’m sure Emma would say, it’s not her story I’m scared of reading. It’s what God is going to say through her. Nothing if not opinionated in the best way, Sarah Bessey is a force to be reckoned with. She’s a blogger, author, speaker, wife, and mum (because they are real jobs!). On top of that, she documents everything on her Instagram and doesn’t shy away from the nasty or mundane stuff. Naming a book Jesus Feminist screams controversy and sassiness but that is entirely in keeping with the Sarah we see online. I bought a copy in 2018 and I don’t think I’ve been that excited about a book since Harry Potter and the Order of the Phoenix! Considering HP5 went on to become my favourite of the HP series, that should speak volumes! It’s 100% on the must-read list. I first came across these two sisters while googling Christian advice about dating. Since then, they have released two books. Their first book, Girl Defined, looks at what God plans for girls is. I was at first put off by it as their blog is aimed at girls in their teens, and I was already in my twenties when I found them. However, if you have questions about what a biblical plan for womanhood looks like, Girl Defined is quite possibly the book for you. Whether you think the book is for you or not, understanding God’s plan for us as girls and women is crucial to living fully. Ever had questions about God’s plan for love, singleness, relationship, and marriage? Yes? You are not alone. On their blog, GirlDefined.com, Kristen and Bethany have been talking about all those topics and they’ve finally condensed it down into a book. Even better, between Bethany being single and Kristen celebrating 6 years of marriage while writing, they were able to approach ever aspect of romantic love from their personal experiences as well as from the Bible. As a single girl in her twenties who would one day very much like to be married (please say, I’m not the only one! ), it has made it on to my must-buy list. If there is a woman who knows what busy looks like, it is Alli Worthington. Entrepreneur, wife, and mother, Alli seems to be the woman who has managed to balance it all. Yet, like most of us, she still found herself with being too busy… so she wrote a book about how she broke the busy habit. Anyone else feel like they are the busiest person in the world? Because this book could very well be the book for you! If we’re honest, a life that is full of busyness never really feels like a full life. So, how about we break that busy habit and learn what life can look like when we’re not rushing around like crazy people. Breaking Busy seems like a good place to start. I first realised Alli was an author when she started promoting Fierce Faith. I honestly just thought she was a super cool Christian Instagrammer and followed her purely for her feed originally. Then she started sharing everything about Fierce Faith. At first I thought it was getting a little spammy then I started to dig into what this new book was about. And I honestly think that God placed it on Alli’s heart for this time. That’s without even reading it. A book aimed at enabling women to become more fierce in their faith right when God needs men and women who will stand up and fight for their faith? That is not a coincidence! As a woman who definitely needs to be a bit fiercer, I can’t wait to get my hands on Fierce Faith. Ever since she joined the cast of the Relevant Podcast, I have been loving Annie F. Downs’ sense of humour and general approach to life. And then I discovered that she had her own podcast, That Sounds Fun. Even more of the same humour but also a massive dose of truth as she discussed life, faith, and everything else. So when I discovered that she had written a devotional based around being brave, it automatically got put on my to-buy list. It is a devotional so not necessarily something that we can just dive into. However, taking some time each day to send time with God, whether it is guided by a devotional or not, can only be a good thing. And learning to be brave at the same time? Sounds like a win to me!I’m actually going to be working through 100 Days to Brave with Annie and company via Instagram, starting on 1 January. It’s going to be a great period of encouragement and exploring God’s will together. Lisa Bevere has been appearing on my Instagram in quote form for ages, thanks to Propel Women. But it wasn’t until I heard her on The Alli Worthington Show that I was struck by her commitment to God and His people. And then she started to talk about Adamant. A whole book about how God is steadfast, steady, our rock in even the worst of worst times. I’ve experienced that steadfastness of God but that doesn’t mean I understand it. And seeing as how I’m 100% sure my life won’t be all sunshine and daisies from here, I need to be prepared to stumble again. Plus God is always steadfast so now is always the perfect time to learn more about how He is steadfast. There is a more intense side to Finding Chaya. Yes, it is all about living your fullest life. Yes, it is about supporting women in community to fully embrace who Jesus made them to be so that we can go out and support others. BUT it is also about showing how the Bible equips us to fight the good fight on so many different fronts we’re not even always aware of. So when my friend Helen (an amazing warrior for God) tagged me in a photo of this book, I was obviously intrigued. This wasn’t long after hearing Lisa Bevere interviewed so it seemed too coincidental. Since then, I have seen so many quotes from this book that give me hope that women of God are becoming more aware that the good fight is not just for men. Basically, I have to read this book. Not to make sure I’ve got it right (the Bible is here for that) but to know that this is an issue others are talking about. So those are the 10 books to put on my to-buy/to-read/to-recommend list. The reality is that it’s a very small percentage of my overall reading list. However, these are the ones I’m excited to get hold of and study and then discuss with you guys. Now it’s over to you! What’s on your book list at the moment? Do you have a to-buy list as well as a to-read list? Why not share your book suggestions and reviews in the comments below. Or even better, share a picture of your bookcase or favourite books over on Facebook and Instagram, tagging #FindingChaya. P.S. This list was a lot shorter when this post was first conceived. Then I started listening to Alli Worthington and Amy F. Down’s podcasts. So if you would a like taster of what some of these authors might be like, check out the links below.